1. 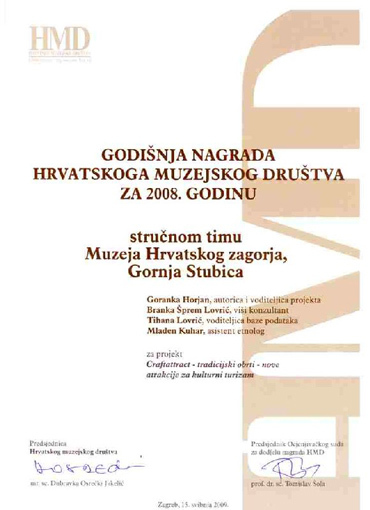 Project CRAFTATTRACT won the Annual Award of the Croatian Museum Society for the best museum project in 2008. 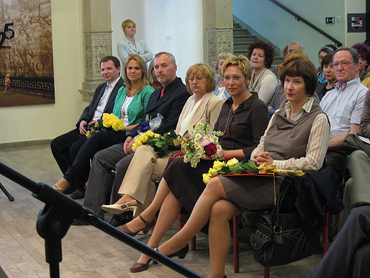 The award was handed on the International Museum Day, 18th May 2009 in the Museum of Arts and Crafts in Zagreb. 2. 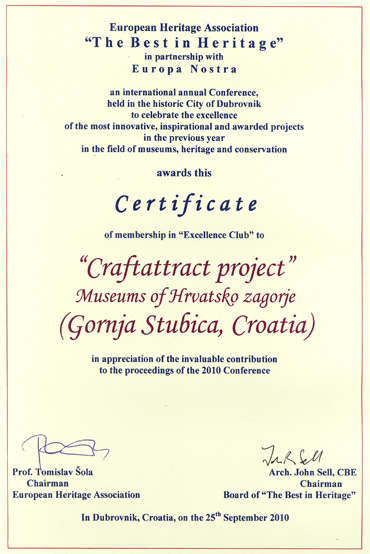 Project was presented at the annual show of awarded projects THE BEST IN HERITAGE in September 2010 in Dubrovnik and won the recognition as a member of the Excellence Club. 3. 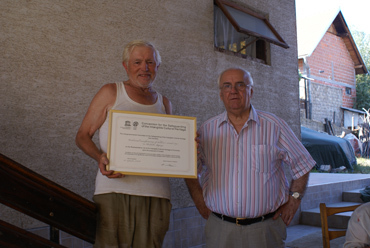 The Craftattract project results were helpful when the application file for the two elements of intangible heritage had been prepared for the inscription on the UNESCO Representative list of the Intangible Heritage. 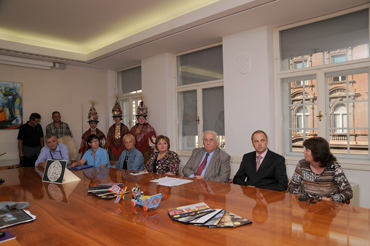 The Ministry of Culture used project experience when preparing the file and the project leader Goranka Horjan was engaged to draft some parts of the file. 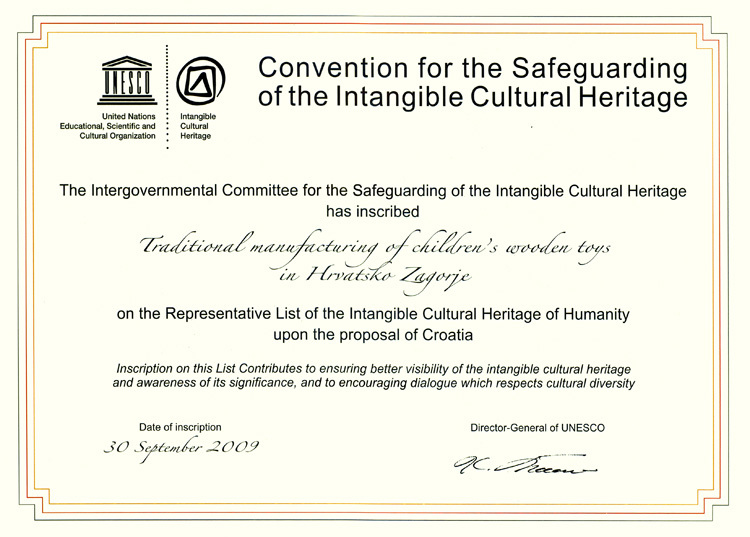 The Muzeji Hrvatskog zagorje received recognition for that contribution after Traditional Wooden Toys of Hrvatsko zagorje were inscribed on the list in September 2009. 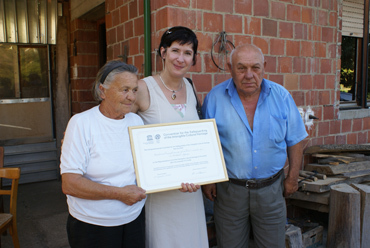 In November 2010 the other element was successfully inscribed – The Gingerbread Making of North-Western Croatia.